Former Canadian prime minister Kim Campbell caused a stir online over the weekend when she referred to U.S. President Donald Trump with a profanity, a nod to a speech that landed a newly elected Democratic U.S. congresswoman in hot water earlier this week. 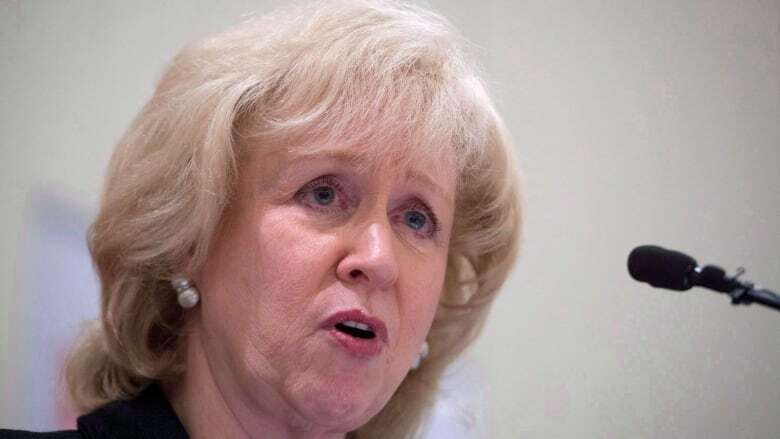 Former Progressive Conservative prime minister Kim Campbell caused a stir online when she referred to U.S. President Donald Trump with a profanity over the weekend in a nod to a speech that landed a newly elected Democratic U.S. congresswoman in hot water earlier this week. 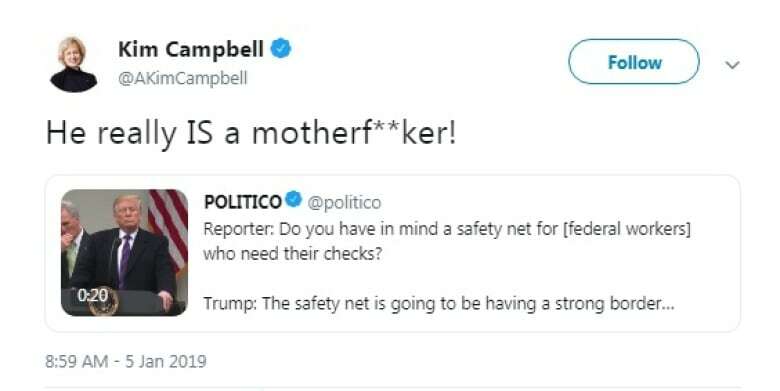 Responding to a tweet about building a border wall, Campbell, who was in office from June to October 1993, tweeted on Saturday that the president "really IS a motherf----r!" The now deleted tweet echoed the language used by Michigan Rep. Rashida Tlaib during an event on Thursday while predicting the new House will impeach President Donald Trump. Trump called Tlaib's language disgraceful and disrespectful. Meanwhile Tlaib has doubled down, tweeting "I will always speak truth to power." Dean Del Mastro, who served as former prime minister Stephen Harper's parliamentary secretary and as an MP, called Campbell's tweet "simply unacceptable." After receiving a flood of response — a mix of angry and supportive — Campbell followed up on Twitter saying "if you don't get the reference to the comment by Congresswoman Taib [sic] - can't help you," adding that her views are much tamer compared to former Mexican president Vicente Fox Quesada. "I am MAGA compared to my pal," she said, referring to the acronym for Trump's slogan Make America Great Again. Her original tweet had more than 2,000 retweets, but it was deleted by Sunday afternoon. Campbell turned down CBC's request for comment. Since leaving politics she's served on multiple boards and committees. In 2016 Prime Minister Justin Trudeau appointed her to chair the independent advisory board tasked with coming up with a short list of candidates for the Supreme Court.